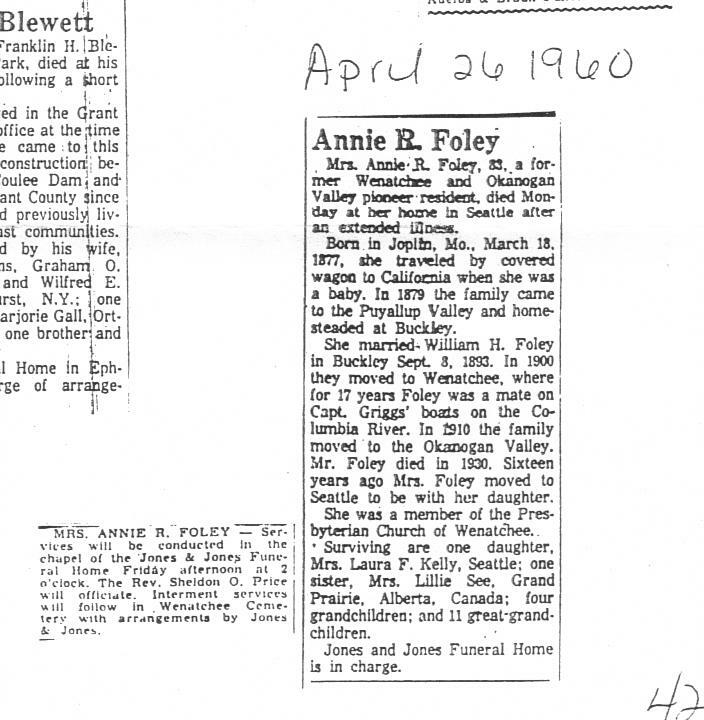 Laura F Foley was the daughter William H Foley and Mary Ann "Annie" (Ramsay) Foley. Laura was the granddaughter of James Watt Ramsay and Mary Adelaide (Spaulding) Ramsay. Lawrence A. Gent and Doris Hamilton were married in Republic in Ferry County, WA in Nov of 1933. Doris was the youngest daughter of Judd and Annettie (Templeton) Hamilton. Page 1 of an amazing letter written by John P. Hamilton on January 4, 1894 from Santiago, Chile. The letter is thought to have been written to his nephew, Duron Hamilton, who was living near Waitsburg, WA. John was three years older than his brother Supplina Hamilton. Duron was Supplina Hamilton's oldest son. We don't know for sure why John was living in Santiago, Chile or how long he had been there. Apparently he had no proof of citizenship and was in desperate conditions. He wanted his brother Supplina or his Uncle Supplina Judd (then deceased) to provide an affidavit that he could use to prove his U.S. citizenship so he could obtain a military pension. It also appears that he attempted to write to Supplina Judd the previous November, in 1893. The envelope of that letter is preserved on his copy of page 1. That letter was never delivered, as Supplina Judd was deceased, but in the small community of Waitsburg it apparently found itself in the possession of the Hamilton family. Page 2 of the letter written from John P. Hamilton to Duron Hamilton from Santiago, Chile on January 4, 1894. Page 2 of the January 1874 letter from Supplina Judd to his nephew Supplina Hamilton. Letter from Supplina Judd to his nephew Supplina Hamilton written from Palmer, Christian County, Illinois on Jan. 27, 1874 detailing his journey to Oregon and back, his land related issues near the Puget Sound and his desire to return again to Washington Territory in the spring with his other nephew, William M. Hamilton. This PDF file contains three pages from a book titled, Delayed Birth Certificates of Pierce County, Washington. It was published in 1996 by the Tacoma-Pierce County Genealogical Society. Listed in it is Lillian Ramsey, born May 10, 1887 in Marian, Pierce County, WA. Lillian's parents were listed as James Ramsey and Mary Adelaide Spaulding. Lillian or 'Lilly' or 'Lillie' was the mother of Elsie L. (Galloway) Hamilton. This amazing document is published by the Linn County Oregon Historical Society. It republishes the work of John Miles and Richard Milligan on their studies of the Oregon Donation Land Claim pioneers. These pages from Volume 17 are the section that speaks of the Supplina Hamilton family. It's a 'must read' item. This map was downloaded from the Linn County Surveyor's web site. 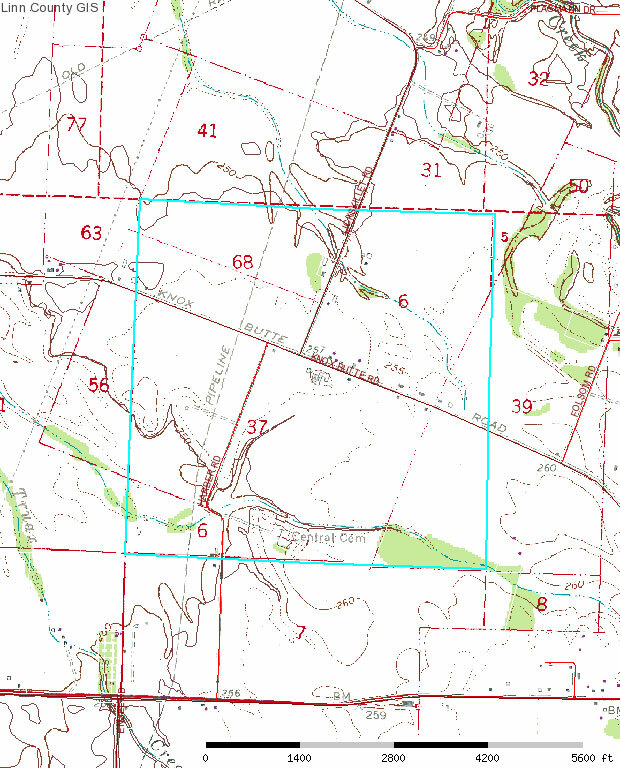 The blue box was marked by their GIS system to show Township 11 South, Range 2 West which is the area in which contained Supplina Hamilton's donation land claim #2969. CLOSE-UP: This map was downloaded from the Linn County Surveyor's web site. The blue box was marked by their GIS system to mark Township 11 South, Range 2 West which is the area in which contained Supplina Hamilton's donation land claim #2969. Duron was the first child of Supplina and Sarah Jane (Sumpter) Hamilton. This marriage was near Waitsburg, WA. Duron and Laura are listed in Supplina's household in the 1880 Census. Annie was the daughter of James Ramsay and Mary Adelaide Spaulding. She married William H. Foley. Annie was a sister of Lillian Mae Ramsay who was the mother of Elsie Luetta (Galloway) Hamilton. Marvin V. Hamilton and Julia G. Dykstra were married in Spokane, WA at the County Courthouse on Oct. 20, 1944. Marvin's friend Norman Flieger and Julia's younger sister, Delta M. Dykstra were witnesses. Supplina's parents died before 1840. The children seemed to scatter a bit with family and friends in Illinois. Here we find Supplina's older sister Mary (age 23) in her household with her husband James M Jones (age 38) and their child George (age 3). Also living with them in 1850 is Mary's brother William (McCord) Hamilton age 15. Mary Adelaine (Spaulding) Ramsay was the wife of James Ramsay (deceased at this time). She was living in Tonasket, WA in 1910. She had lived in Wauconda and her sons were farming there. She was the mother of Lilly (Ramsay) Fee who was the mother of Elsie (Hamilton) Galloway. Mary Adelaide Spauling was the wife of James W. Ramsay. This document provides vital insights into her date and place of birth and parent's names. Mary died on May 3rd, 1939 in Tonasket, Okanogan County, Washington, USA. Mary Adelaide (Spaulding) Ramsay was the wife of James Ramsay and the mother of Lillian Mae (Galloway / Fee) Ramsay, the mother of Elsie Luetta (Galloway) Hamilton. Mary was born in New York in 1827. Her parents were John and Altha (Judd) Hamilton. Mary married James M Jones on September 10, 1846 in Menard County, Illinois. She is believe to have died by 1869. Mary (Jones) Hamilton was the daughter of John and Altha (Judd) Hamilton. Mary was a daughter of Duron Hamilton and Laura Brunton. Maurice, the son of Judd who was the son of Supplina, is living with his wife Elsie L Hamilton in Tonasket, WA in 1930. Maurice and Elsie's family consists of Darrel, Marvin, Maisie and John(ie). 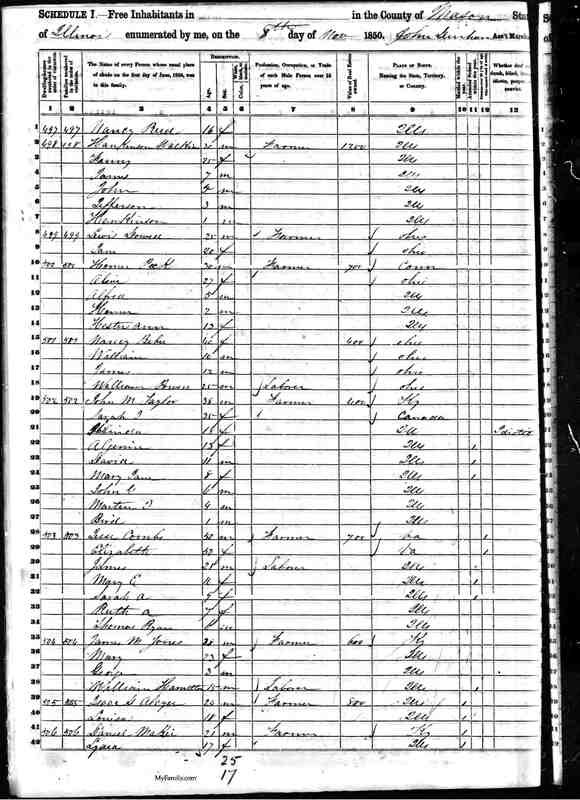 Record in the Washington State Birth Index for Maurice L. Hamilton the son of Judd Hamilton and Laura Annettie 'Nettie' Templeton. Born near Endicott in Whitman County, WA on January 2, 1901. Maurice was the husband of Elsie (Galloway) Hamilton and the son of Judd and Annettie Hamilton. Under the column 'Sing Planned Sunday Night' there is a mention of Ronald Templeton and Florence Applegate who were from Enterprise, Oregon and were recently married in San Francisco. Florence was a WAVE ("Women Accepted for Volunteer Emergency Service") in the U.S. Navy. Ronald was the son of Jay Templeton a grandson of Greenberry S. Templeton. The notice was given by Mr. & Mrs. Jay Templeton. 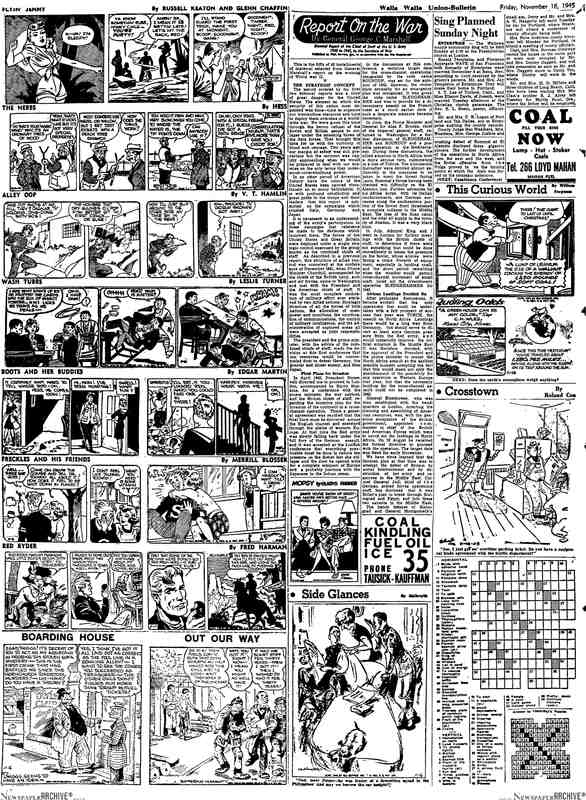 Walla Walla Union Bulletin, Nov 16, 1945. 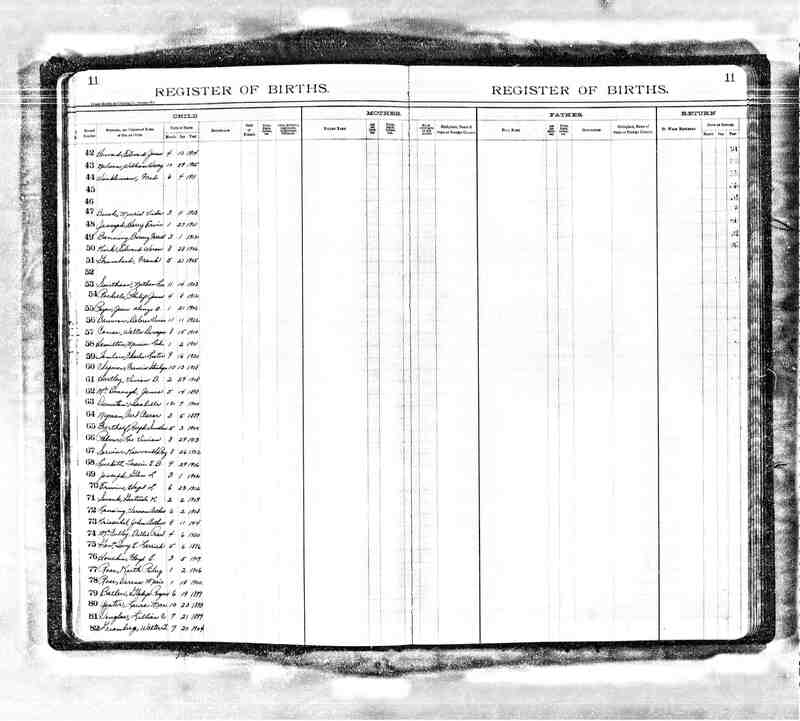 This is the original muster roll of Capt. Davis Layton’s Company "H" of the 1st regiment of Oregon mounted volunteers, formed in pursuance of the proclamation of the governor of Oregon territory, on Oct. 11, 1855, to serve in the war against the Yakima and other Indians until discharged. Their service began on Oct. 23, 1855. Jane Templeton was the wife of Greenberry Shields Templeton. She was born Nancy Jane McCarty and was raised in Shelby County. She was a domestic in the John P. Templeton home before marrying Greenberry in 1871. She had two girls with Greenberry, Julia Aletha and Laura Annettie Templeton. She died from hemorrhaging as a complication of child birth in 1882. Apparently the baby died also. 28) Obituary of Alexander Sumpter, Sr.
Alexander Sumpter was the father of Sarah Jane (Sumpter) Hamilton. It would appear the reporter made an error in this obiturary. First, Alexander and Nancy were married in 1834 not around 1851-52 as is implied in this account. 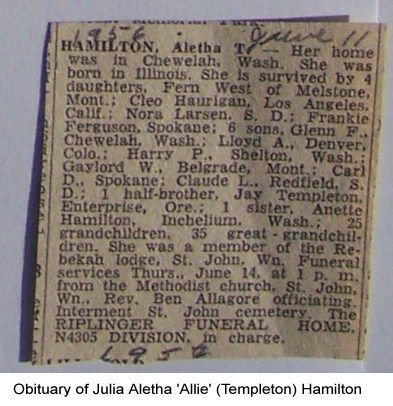 When Alexander and Nancy crossed the Oregon trail in 1853 they had eight daughers (including Jane) and Nancy was pregnant with their first son, Alexander Sumpter, Jr.
Obituary of Julia Aletha 'Allie' Templeton. Aletha married Frank Hamilton the son Supplina and Jane Hamilton. Aletha's sister, Laura Annette 'Nettie' married Frank's brother, Judd Hamilton. Aletha's mother was Nancy Jane McCarty and her father was Greenberry Shields Templeton of Shelby County, Illinois and later Enterprise, Oregon. 30) 'Old Emigrant Trail' - Feature Article in the Albany Oregon, 'Democrat', Nov. 14, 1920. Avis Reddaway provided this article by C. H. Stewart, published in the Albany Democrat, Albany Oregon, Nov. 14, 1920. This feature article discusses the history of the Linn County, Oregon pioneers in the context of understanding the course of the original trail used by emigrants into the county in the 1840's and 50's.